Career Champions gives alumni an opportunity to continue to build a legacy with new generations of Rollins students. Career Champions Mentor Program – Alumni serve as mentors for sophomores, juniors, or seniors with similar professional interests in this selective, long-term mentoring program. Alumni and students connect monthly throughout the academic year, and mentees work towards a professional goal. Chat with a Champ – Alumni interact with students to share industry insights through programs such as panels, classroom speaker opportunities, or ‘flash mentoring’, where alumni host brief 1:1 informational interviews in person or via Skype. These interactions create the potential for lasting professional connections with students. Students: Please contact Cassie Burns, Assistant Director of Alumni Career Engagement, at cburns@rollins.edu for more information. Alumni: Please complete the Volunteer Interest Form through the Office of Alumni Engagement to express your interest in getting involved. By harnessing the power of the Rollins alumni network and the deeply relational nature of the Rollins education, students will have increased knowledge and connections to prepare for reaching their post-graduate aspirations. 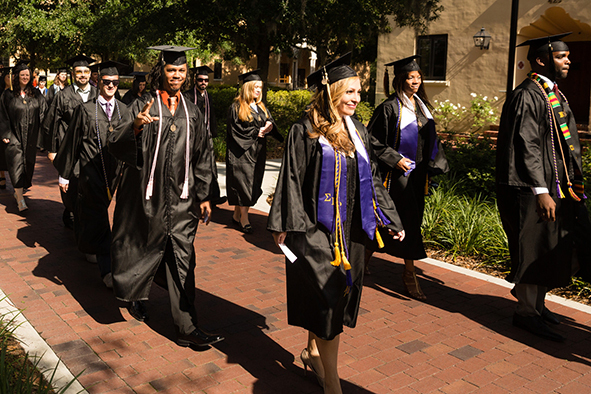 Alumni will enjoy the opportunity to make a tangible impact on the Rollins community.